“For thousands of years, God’s people suffered and struggled. The Old Testament chronicles the tortuous fall of mankind from the breast of God down to the pits of Hell. From the day the gate to the garden closed, humanity suffered the consequences of the introduction of sin. And from that same day, God planned a grand strategy to redeem man to Himself; He would send a Christ to save them. The Old Testament explores the fall, the suffering, and the promise, including the prophecy of a Great Coming. In anticipation of this, people waited, and they watched. They longed for the savior to come and save them from oppression, pain, and suffering. Then one day, He came! Angelic visits, prophetic visions, and a baby born to a virgin, delivered the world’s long-awaited hope. The people were ready, but would they see? Would they believe?” The gospel of Matthew was written to prove that the Messianic prophecies of the Old Testament had been fulfilled within the person of Jesus of Nazareth. 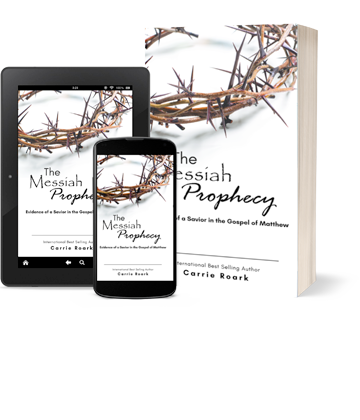 This book probes Matthew’s gospel chapter by chapter and takes the reader on a contextual study of a letter dedicated to proving that Jesus Christ is the Messiah. Readers of this book will: Have their faith deepened Be equipped with mountains of scriptural and anecdotal evidence to defend their faith See well-known stories from a new perspective Understand the gospel of Matthew like never before Fall more in love with Christ “Who do you say I am?” Jesus asked the disciples in Matthew 16:15. Theologically, it is the most important question presented to mankind. How you settle that question makes all the difference in your life both here on earth and in eternity. If you have any doubts tickling your psyche or if you know someone who isn’t sure about Christ, Matthew has something to show you. 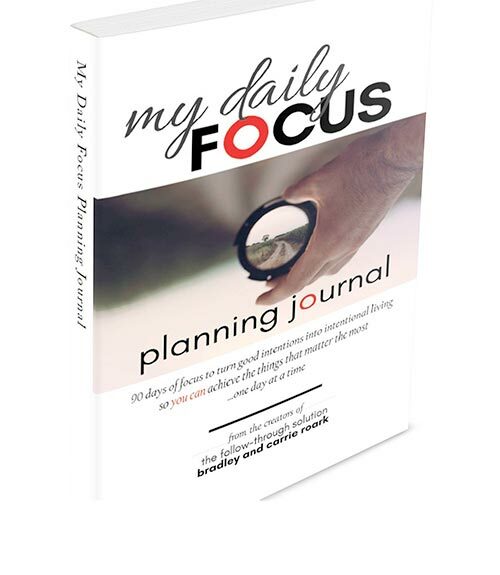 My Daily Focus Planning Journal is a tool to help you move from good intentions to intentional living. This planning journal is 90 days to help you focus on achieving specific goals without getting overwhelmed. If you can think of at least one important thing that never gets the focus its needs and therefore never gets done; then My Daily Focus Planning Journal is for you. My Daily Focus Planning Journal is a simple and easy to follow workshop in a book. For 90 days you learn the habit of success. Personal development and achieving one's goals does not happen by accident. You have to be purposeful! My Daily Focus...allows you to map out a daily path to your bigger goals and measure your growth and successes along the way." My Daily Focus is an effective tool to begin each day in gratitude, to gain clarity and focus on the goals set before you. You'll accomplish more in less time, as you bring the deepest desires of your heart to life." My Daily Focus helped me gain momentum in where I place my focus at different points in the day... It truly impacted my mindset and is something I rely on as a reminder of where I am and where I am going." 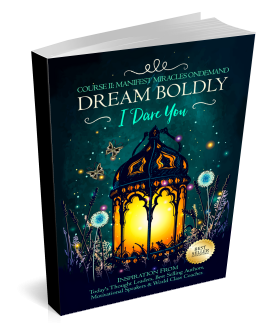 Dream Boldly, I Dare You (Vol. 2) Course 2: Manifest Miracles OnDemand is the second book in our Dream Boldly series. The power to command miracles resides within us. You are being invited to free your possibilities; to embody your highest potential; to remember what you came here for. You are an infinite being of light. It's time to step into all you're being called to be. This extraordinary book of transformation contains 31 days of inspiring and healing life testimonies, intended to be savored one by one. Begin each morning or close each day with a profound message that’s certain to awaken pure potential. Today is a gift. Remember to unwrap it fully. Join our unbreakable chain of love, as you embark on this transformational journey to dream boldly. Each book contains a key to unlock an eLearning course to Manifest Miracles OnDemand.